but also to apply directly on face and body as an elixir of beauty and relaxation: a full immersion in grapes and its powerful extracts can be surely considered as a genuine cosmetic treatment. 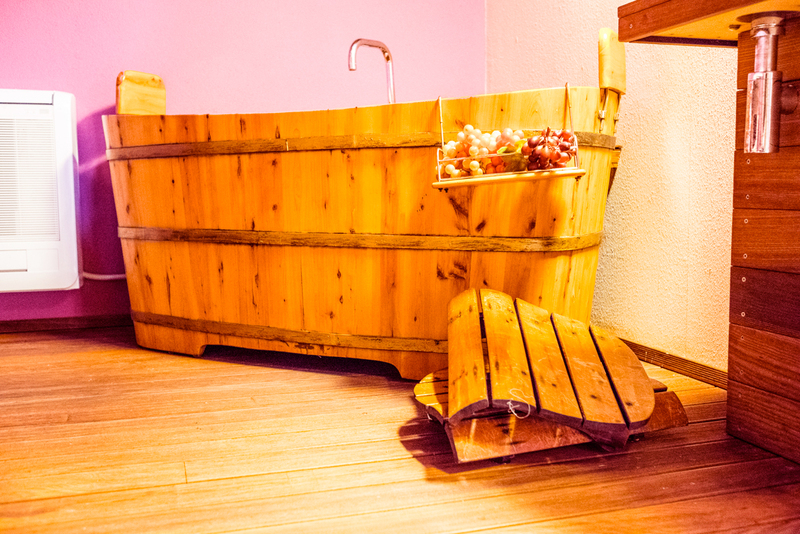 Historically, grape-based treatments were practiced by ancient Arab populations, ancient Romans and ancient Greece. 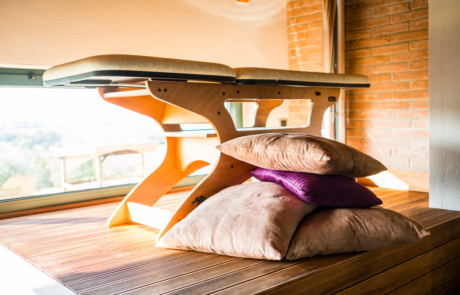 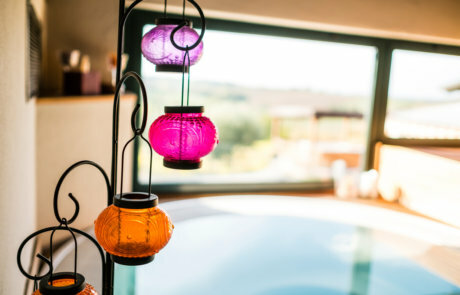 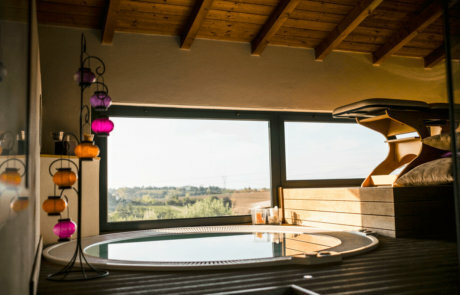 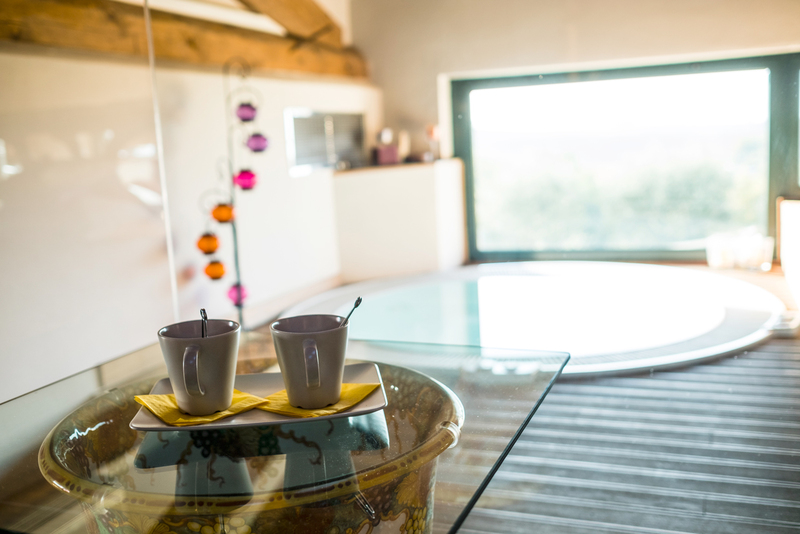 In recent years, winetherapy has found new lymph in the Graves region, near Bordeaux (home of the oldest European wineries) where it has been relaunched as a wellness therapy, mainly due to its antioxidant, moisturizing and toning action. Our winetherapy treatment begins with a complete peeling to prepare the skin, eliminating dead cells and stimulating pores dilation. 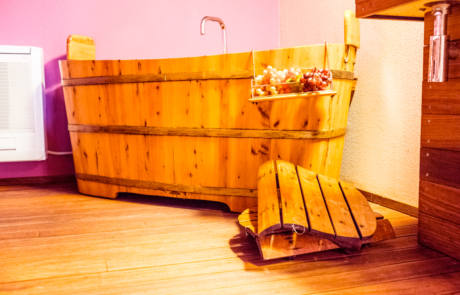 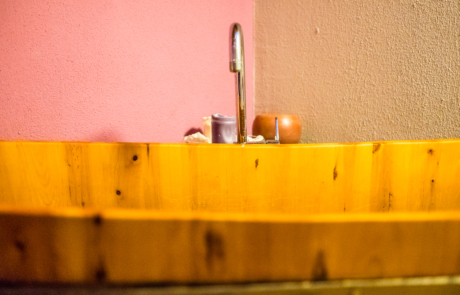 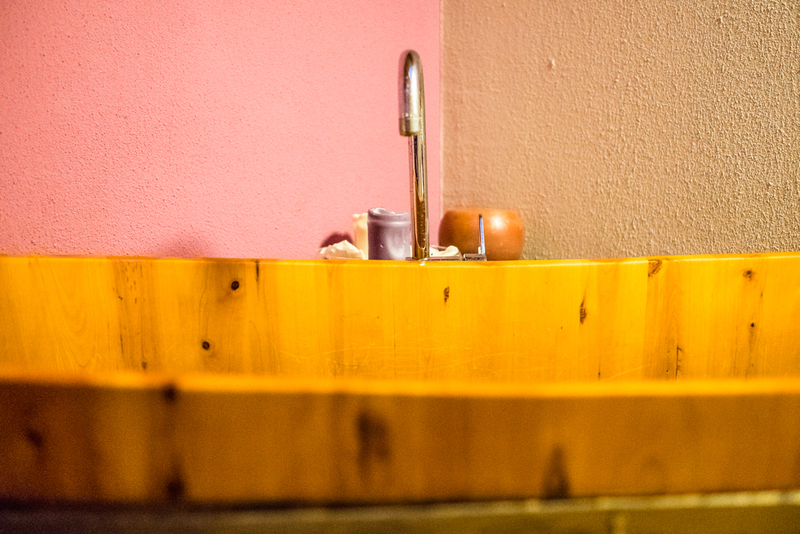 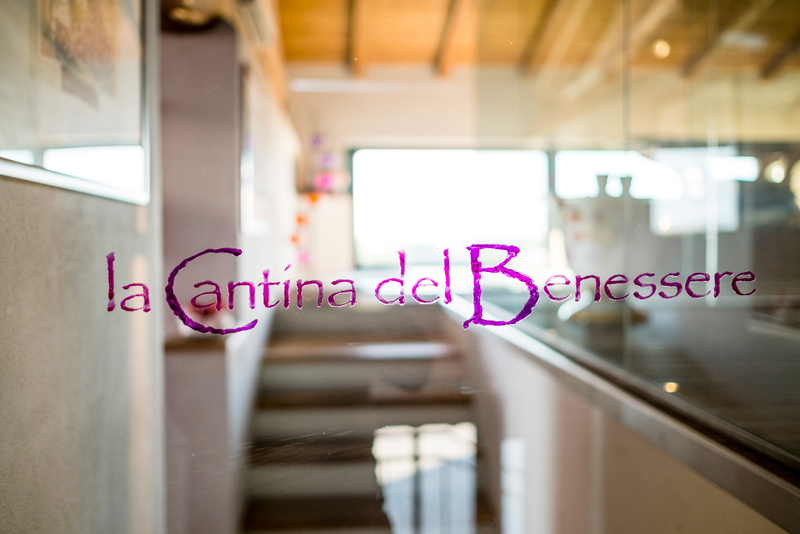 Following the immersion in our wooden tub, where the skin comes in contact with the components of the wellness: the polyphenols and the anthocyanins present especially in the skin of the grapes, characterized by disinfectant, purifying and detoxifying properties. 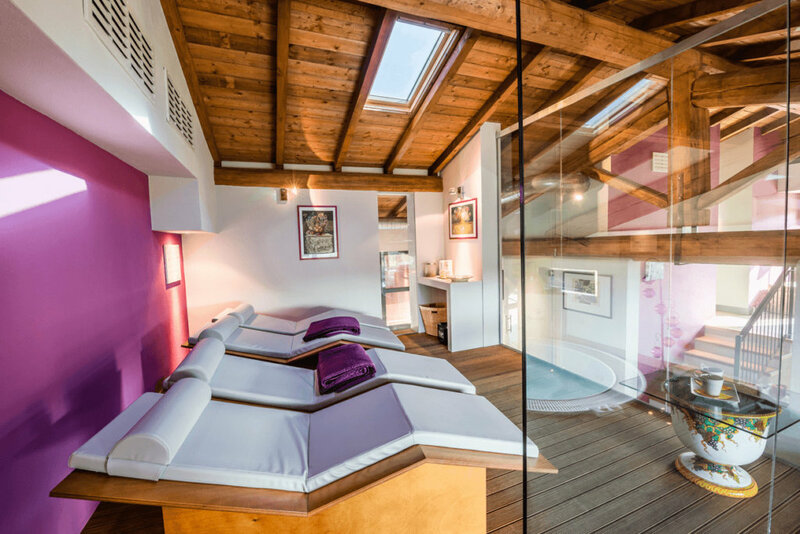 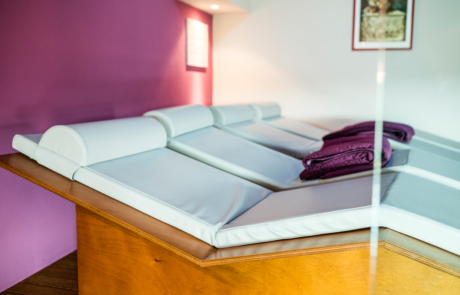 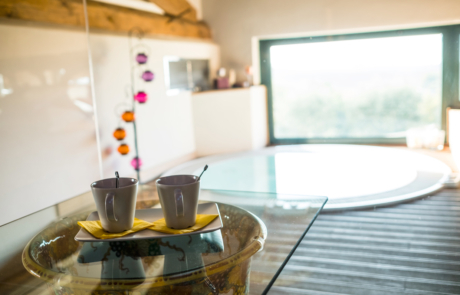 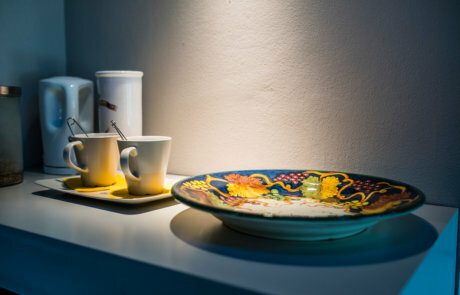 Before and after the treatment, our guests can stay in our relaxing area: a cozy and quiet room with soft lighting and comfortable loungers, where it is possible to taste infusions with draining, purifying or simply relaxing effect. On request and reservation service it is provided with a dedicated staff.